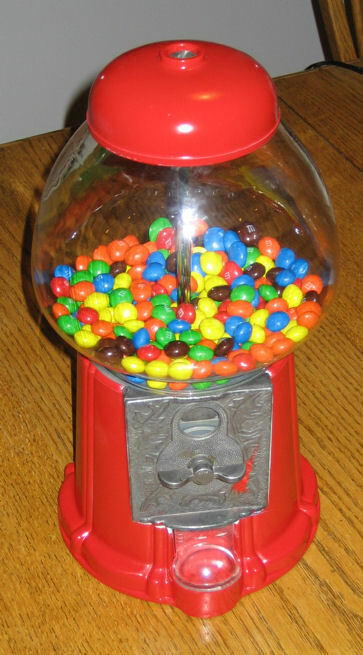 I asked and received this mint gumball machine as a child. It matched my seafoam green and peach room decor (it was the 80s) and I loved it! Then, it was packed away for years until the other weekend when my parents gave it back to me. The color was no longer working for me so I grabbed red spray paint and changed it. When sanding it, I realized it had been bubble gum pink before being mint. I got a little overspray on the front, which I’ll fix, and I need to seal it, but I was so excited it for its makeover. While looking for information on how to switch it so it does not require coins (still haven’t found the answer, if you know, tell me! 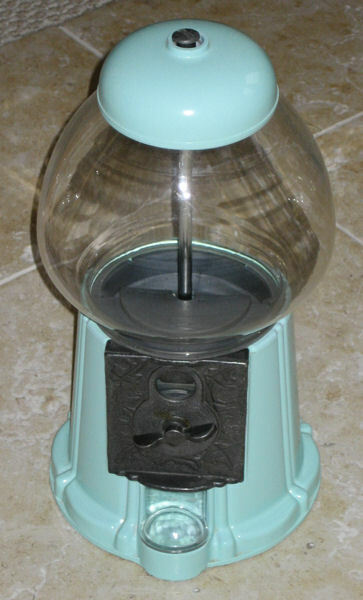 ), I saw a someone describe a 1985 gumball machine as vintage. wow!